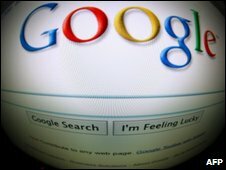 Web search giant Google faces a court case in Switzerland because of privacy concerns over its Street View service. The application allows a 360-degree view of any street-level location. "Numerous faces and vehicle number plates are not made sufficiently unrecognisable," said data protection commissioner Hanspeter Thuer. Google said it was disappointed by the move. The firm says it is sure that Street View is legal in Switzerland and will "vigorously contest" the case. Mr Thuer is especially concerned about people shown in sensitive locations such as hospitals, prisons or schools. He also said that the height of the camera was problematic because it allowed a view over fences, hedges and walls, meaning that more could be seen from Street View than by a normal passer-by. The commissioner said Google was asked in August to take various measures and had not complied with the requests. It is likely to take months before any court case actually starts, but it could have a more immediate impact on the Swiss availability of the service. Mr Thuer has asked a tribunal to order Google to remove all pictures of Switzerland and to cease taking any more until a ruling has been made.